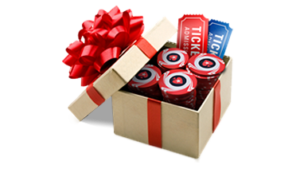 A deposit bonus represents a gift that the casino rewards players for funding their casino account. Probably the most common casino bonus that players will get when they gamble online, it is structured based on percentages. New Zealand online casino sites promote their deposit match bonus in bright colours on the gambling website in order to attract new players to sign up. Learn more about the casino deposit bonus and how you can claim your reward from our guide. The deposit bonus meaning is pretty much self-explanatory. It is the additional amount of money that players receive proportional to the amount they deposited. The deposit bonus is calculated using a percentage at the casino’s discretion. Seeing how this casino bonus has become normalized in online gaming, casinos now have to up the ante in order to win over new players. A typical example of how a deposit bonus works is that a player would fund their casino account with NZD$200 and get a 100% deposit match on that amount. That is, you will get an extra NZD$200 to gamble, bringing the total to NZD$400. Complete the registration process and provide the relevant information. Navigate to the cashier page to select your preferred payment method. Input your payment particulars and the amount you want to deposit. Should the deposit bonus codes required, they’ll be available on the cashier’s page. Head over to the casino lobby and play to win. While the joys of extending your casino bankroll to double the amount you initially had might be enticing, there are things you need to understand that is of vital importance. Minimum Deposit: The minimum deposit represents the qualifying criteria for players to get the bonus. It is usually inexpensive and has multiple benefits attached to it such as entry to periodical draws and competitions. Maximum Deposit: The deposit bonus will include a cap on the match in order to indicate the maximum amount that a player may be credited. A player can deposit more than the maximum deposit match, however, the bonus credit will be calculated based on the specified cap. For example, the deposit match bonus will state that players will receive 100% match bonus of up to NZD$200. Irrespective of whether a player deposits more or less than the cap, the highest amount that the casino can reward is NZD$200. Arguably the most vital determinant as to whether you should sign up and claim the bonus is the wagering requirement. Kiwi players should be aware that even though the deposit bonus may be attractive, they should be mindful of the requirement they need to meet in order to withdraw their winnings. Also known as playthrough requirements, they dictate the number of times that players have to wager using the bonus. While you are unlikely to find a casino that offers generous bonuses and still have no wagering requirements, our top picks of the best first deposit bonus casinos in New Zealand have the lowest wagering requirement around. These are typically to avoid situations in which players claim the bonus and withdraw directly after using it. Thus, it’s important that players peruse the terms and conditions page carefully to make an informed decision regarding the bonuses.